Dr. Cohen opened her private practice as a Clinical Psychologist and Clinical Neuropsychologist in the Lehigh Valley in 2002. 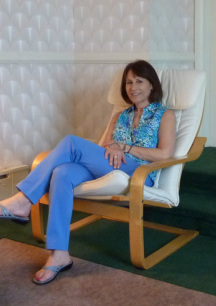 She currently provides individual, couple, and family psychotherapy on an out-patient basis. ​Dr. Cohen specializes in working with people who have mood disorders, life-adjustment disorders, relationship struggles, life-stage conflicts, attention disorders, learning disorders, autism-spectrum disorders, language disorders, and deafness. Dr. Cohen also specializes in neurospychological, psychological, psycho-educational, and forensic evaluations, concentrating on neurodevelopmental disorders and traumatic brain injury. She works collaboratively with schools, ranging from evaluations to on-sight participation in meetings and classroom observations. 2009: Presenter, Jefferson University Hospital Grand Rounds. 1998: Expert Witness, Testified at the Majority Policy Committee, Commonwealth of Pennsylvania House of Representatives. 1994: Panel Member, Teleconference on Otitis Media. 1989-1993: Special Needs Teacher, Congregation Rodeph Shalom. 1982-1993: Sigh Language Interpreter, Free Lance. Click on titles to read more about the professional societies in which Dr. Cohen currently participates.